MOSCOW, November 13. /TASS/. Military chiefs in eastern Russia are assembling a drone squadron operating from the Arctic region's autonomous Chukotka region, spokesman Colonel Alexander Gordeyev told TASS on Thursday. The unit of unmanned aerial vehicles will be based at a military airfield near the city of Anadyr, staffed exclusively by contract servicemen, he said. They will ensure sea navigation security and conduct coastal air reconnaissance over Russian territorial waters. Expanding Russia’s presence in the Arctic is one of the key tasks the country’s authorities. Next spring the Russian government plans to file a request at the United Nations for expanding the borders of its continental shelf. If sustained, the request will increase Russia’s reserves of explored hydrocarbons by five billion tons of equivalent fuel. The formation of the Arctic military command is part of Russia’s ongoing extensive program to build up military presence in the Arctic. Last March, President Vladimir Putin said that the armed forces’ training and development efforts should incorporate measures to increase the combat component of the Arctic group. The Defense Ministry has since made several steps along these lines. 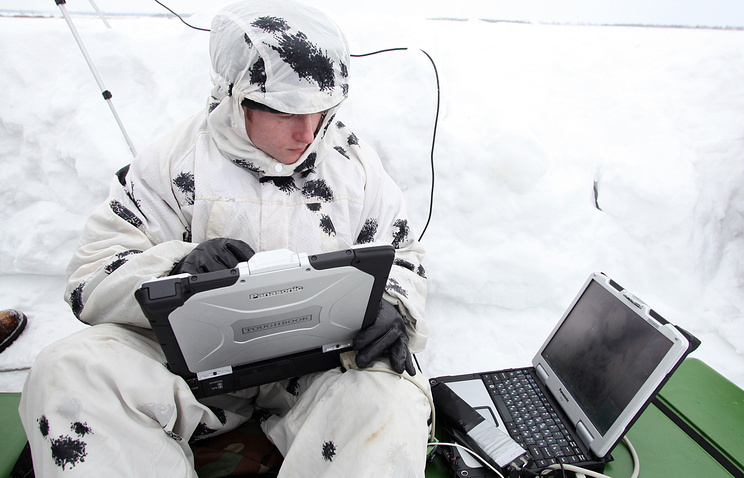 Russia’s Defence Ministry is going to build 13 airdromes and 10 radars in the Arctic. Russia announced it was recreating its military base on the Novosibirsk Islands in the Laptev Sea. An airfield was opened on Kotelny, the largest island of the archipelago. Another military airport, Rogachyovo, commissioned on the southern island of the Novaya Zemlya Archipelago, is capable of accommodating fighter jets. The construction of the Tiksi airdrome in Yakutia’s northernmost locality, inside the Arctic circle, will be completed in 2015. Three airdromes - in the Alykel community (the Krasnoyarsk Territory), in Vorkuta (the Komi Republic), and in Anadyr, the administrative center of Chukotka, will be expanded. The Russian Northern Fleet will be detached from the Western Military District by December 1 to become the main striking force of the mooted Unified Strategic Command (USC) Sever (North). Defense Minister Sergey Shoigu said in late October that Russia will have full radar coverage of the Arctic region this year, while next year it will be ready “to meet unwanted guests” both from the north and from the east.